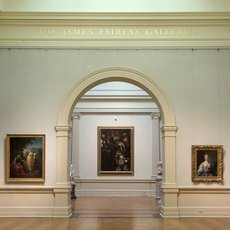 A great Australian philanthropist, James Fairfax transformed the Art Gallery of NSW collection through his generosity and commitment. Is this the ultimate selfie? The 47 photographs in Sue Ford's 'Self-portrait with camera (1960-2006)' predate smartphones and selfie-sticks but are still a strong contender for the title of 'ultimate selfie'. 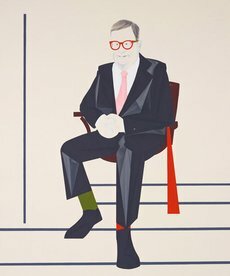 This year’s Archibald Prize includes portraits of three of the Gallery’s major supporters, who are inspiring in so many ways: Reg Richardson AM, John Schaeffer AO and Penelope Seidler AM. 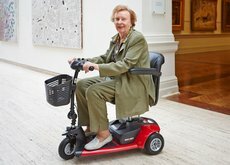 If you find it hard to get around the Gallery, our latest acquisition might help - electric mobility scooters.